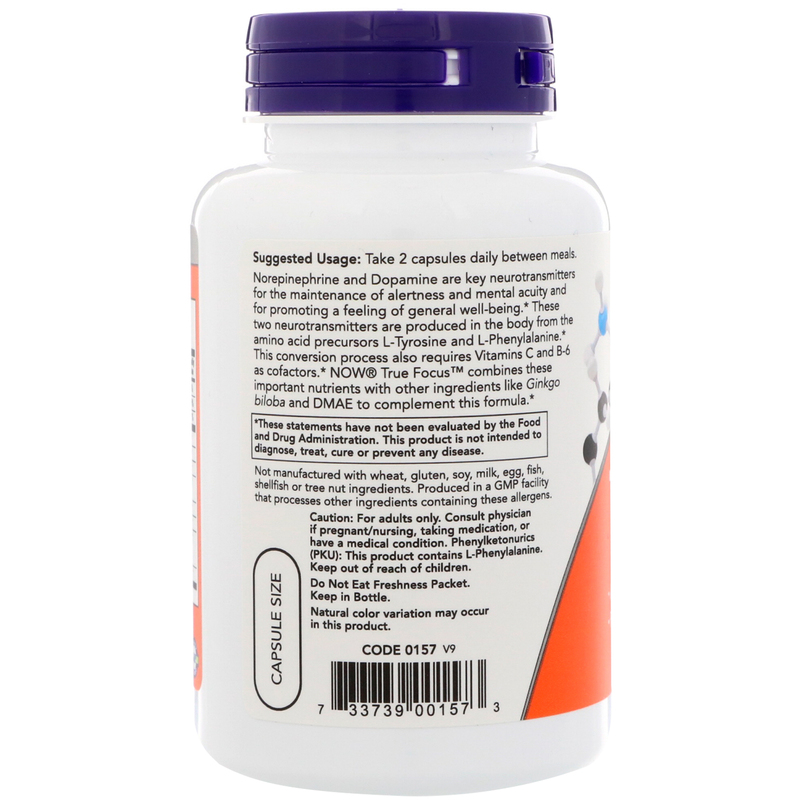 Norepinephrine and Dopamine are key neurotransmitters for the maintenance of alertness and mental acuity and for promoting a feeling of general well-being. These two neurotransmitters are produced in the body from the amino acid precursors L-Tyrosine and L-Phenylalanine. This conversion process also requires Vitamin C and B-6 as cofactors. 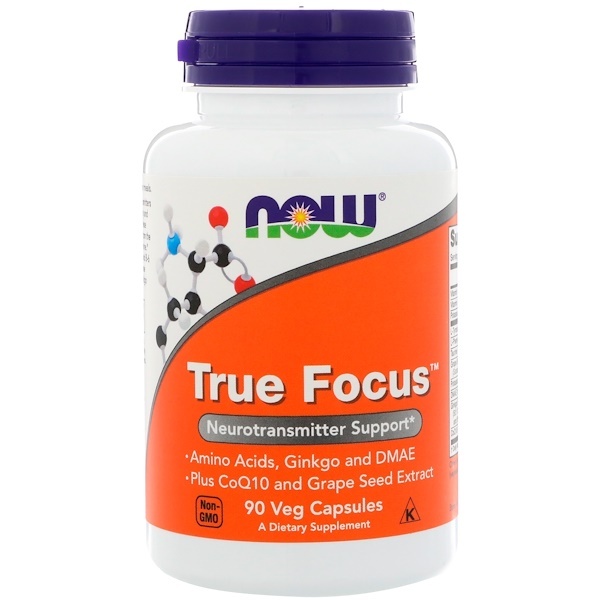 NOW True Focus combines these important nutrients with other ingredients like Ginkgo biloba and DMAE to complement this formula. 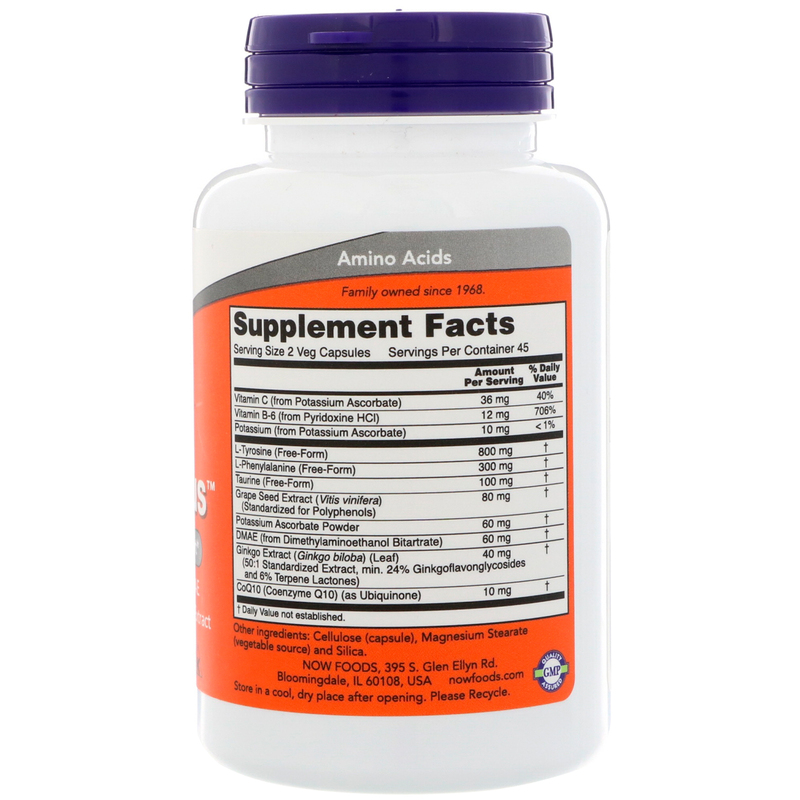 Take 2 capsules daily between meals. Phenylketonurics (PKU): This product contains L-Phenylalanine. Keep out of reach of children.